This entry was posted on 19 July 2013 at 4:10 pm	and is filed under Solving Blogs. Tagged: Augeas, Class, Mallard. You can follow any responses to this entry through the RSS 2.0 feed. You can leave a response, or trackback from your own site. 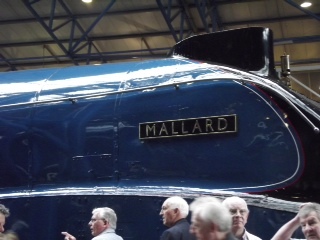 A nice puzzle by Augeas — Steam Trains are before my time, of course, but I have heard of the mallard. For a long time I had something like ? ?OKE BANK at the end of my message and was put in mind of “the man who broke [the] bank [at Monte Carlo]”! Got on the right track (no pun intended exactly) in the end. Didn’t find the right highlighting so didn’t bother — I had “world class” as vaguely thematic, but thought that it was safer not to touch it. Pleased that those who did bother and got it wrong aren’t penalised, although it’s perhaps a shame that the puzzle had it as optional. Seems to me that this weakens a puzzle. But other than that I had no complaints and enjoyed this one. Wikipedia can only rarely be trusted for railway information. I understand the maximum, recorded in the dynamometer car, was 126.4 mph between Little Bytham and Essendine. Glad to see I got this one all correct. 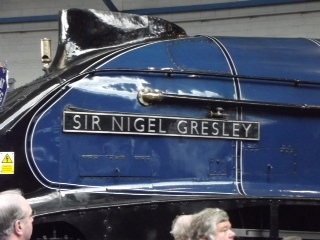 I had 125 MPH below the grid at first, but then noticed the photo of the plaque on the Wikipedia entry and changed it. 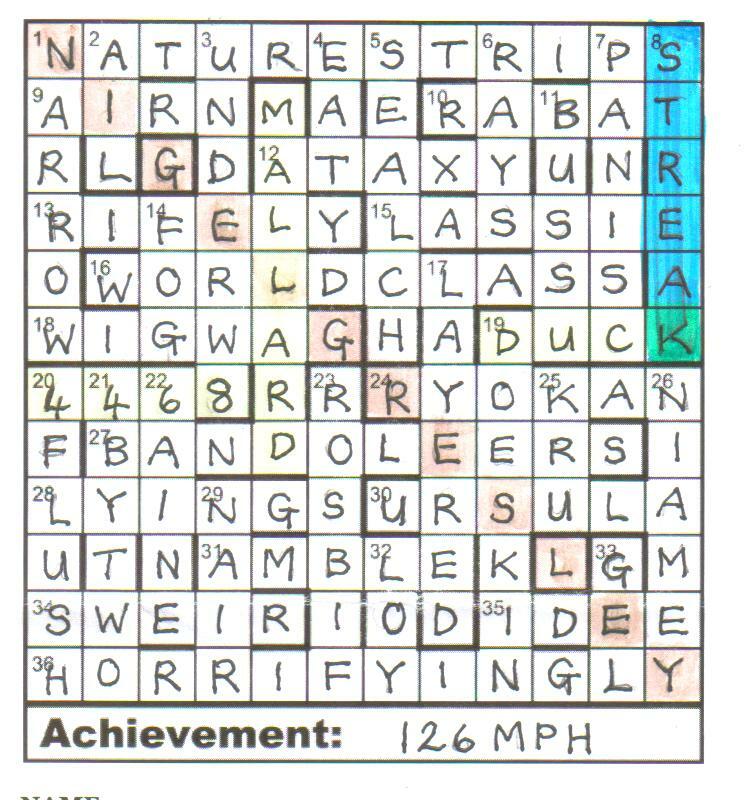 I also found the correct word to highlight by Googling for “mallard streak” on a hunch. I did wonder about putting MPH in caps (after the KOHb event that I shall never stop carping about) as it is in Chambers as lower case, but that issue hasn’t been raised. Oddly, I wondered about mph/MPH (and went for mph) but fortunately it does not appear to have been an issue. Had I highlighted, I would have gone for “world class”, so am quietly grateful that highlighting was discounted!